5x10 Mini Collage - Its a smaller version of a 10x20 collage. It is mounted, so you can display it on your desk, or a shelf. 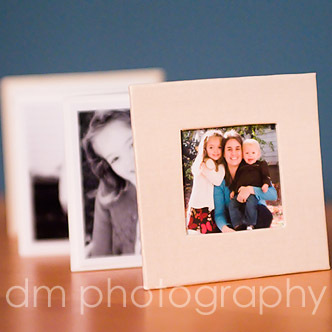 3x3 Mini Collage - This is too cute and a client favorite! 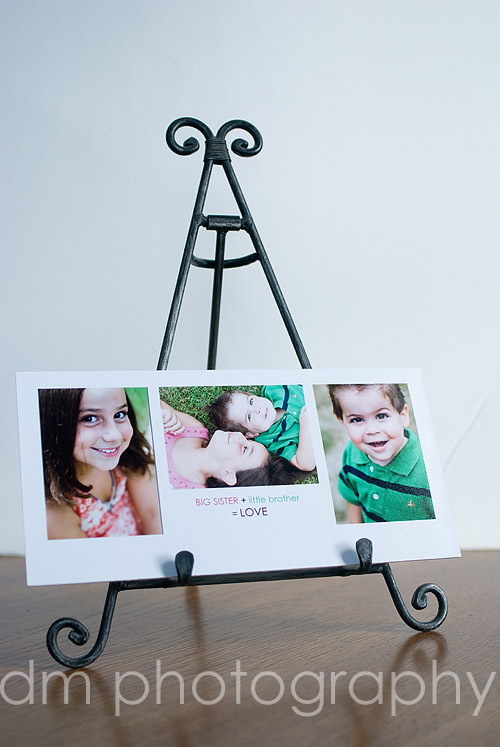 It comes in several different colors and contains 13 3x3 prints. It a great mini brag book!! 10x10 Hanging Name Collage - Not an actual product photograph, because even though I tried to plan things in advance and ordered this months ago, I now can't find it. This collage comes with four images and your child's name. And to make displaying it a snap, it comes with a ribbon to hang it easily on the wall. 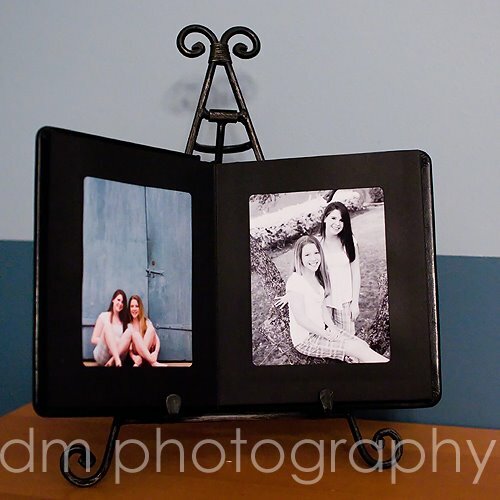 4x6 Leather Album - This is a beautiful black leather album that contains 4x6 images. 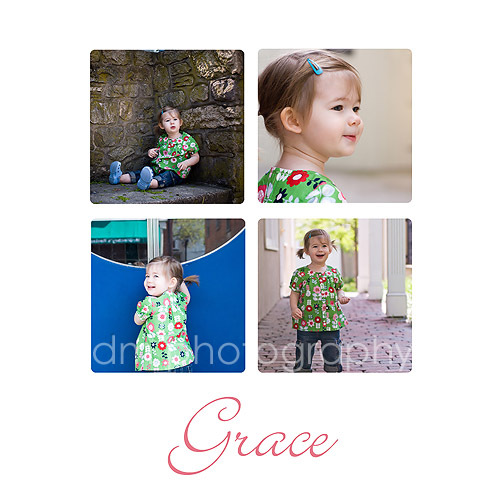 It is truly a great keepsake of your session. I love the hanging name collage! You will have to do something like that for Ethan after his 1 year photos!